This grouped object hopper-type cargo wagon and trail. 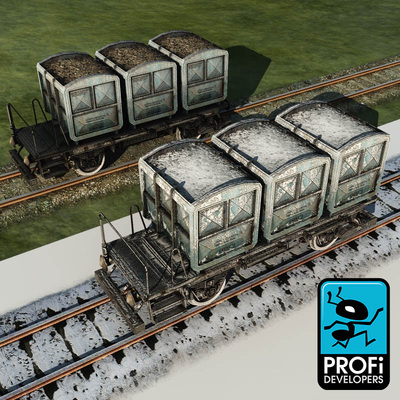 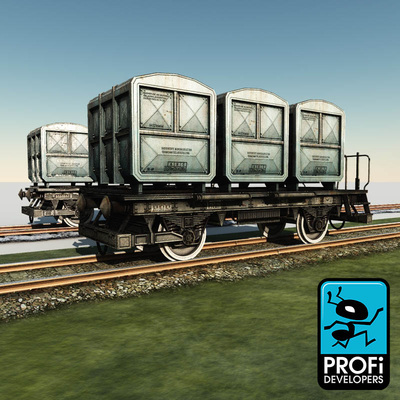 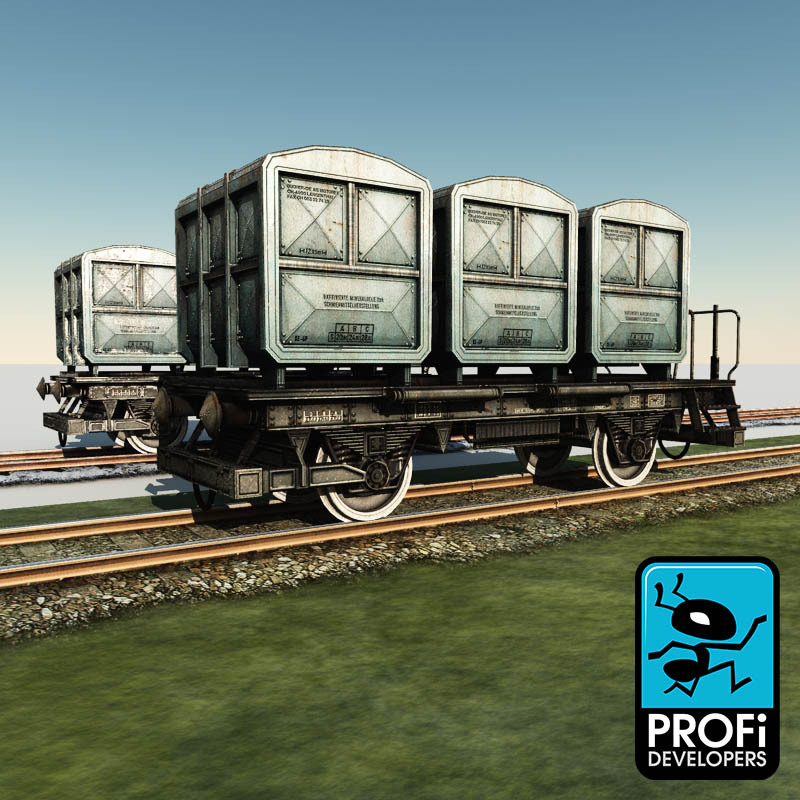 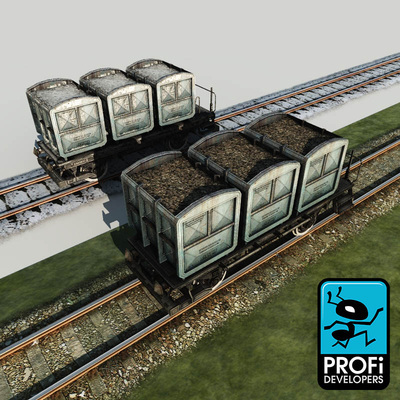 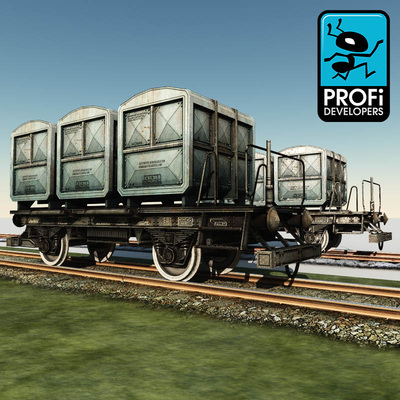 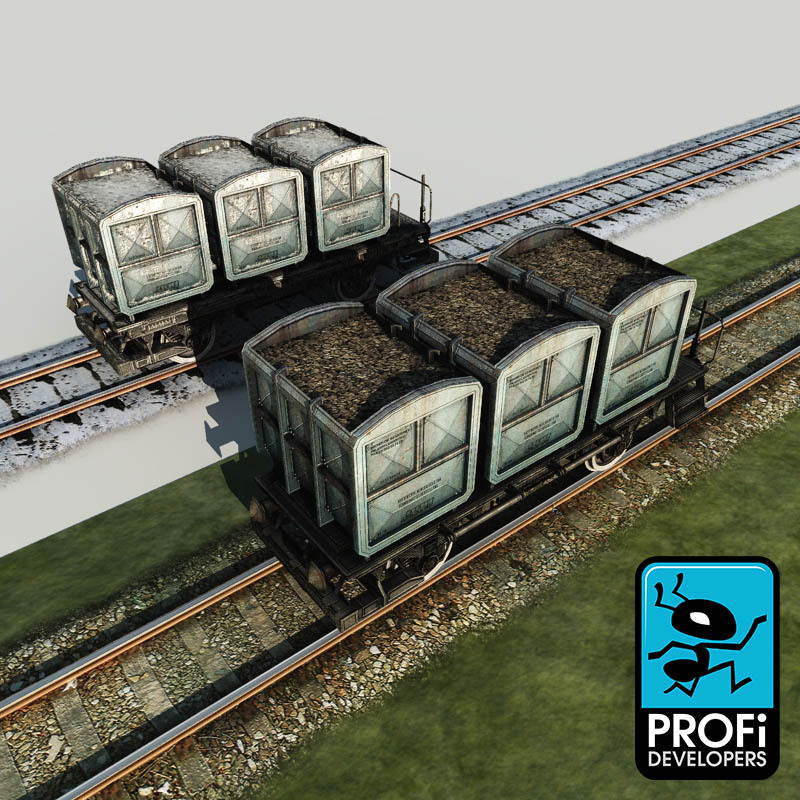 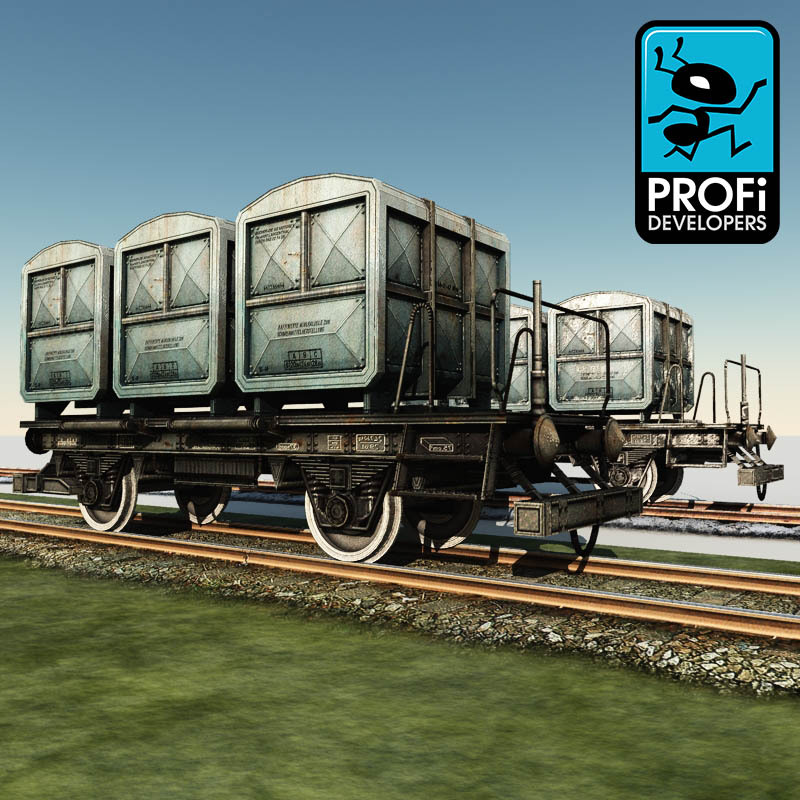 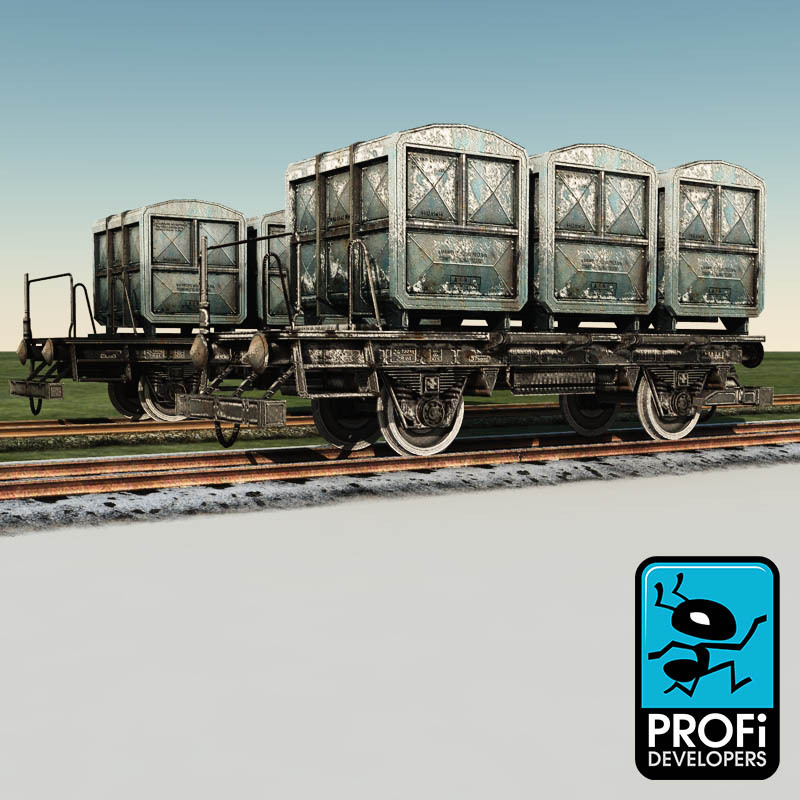 Wagon model has separated and pivoted wheels that can be animated. 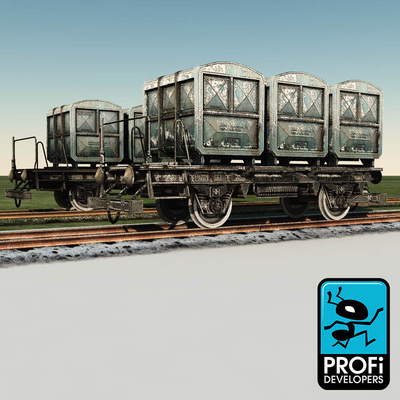 The rails are a separated parts and can also be duplicated to extend the track. 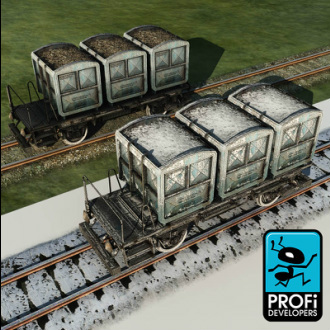 Models are finely textured.